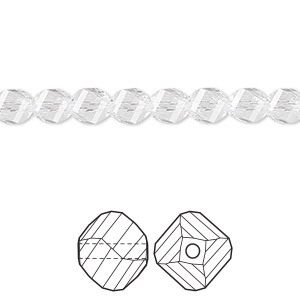 Bead, Swarovski® crystals, crystal AB, 6mm faceted helix (5020). Sold per pkg of 12. Item Number: H20-5364CY Have a question about this item? 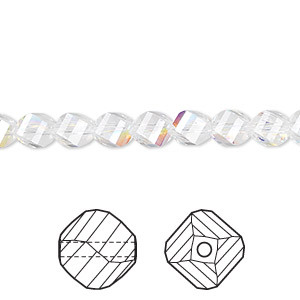 Just when you thought Swarovski couldn't get any better, they create helix shaped crystal beads! 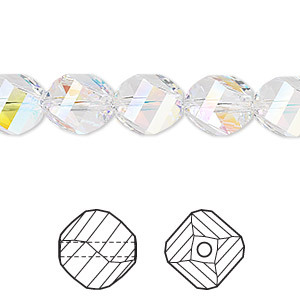 Crystal in a unique faceted cut and shape that adds character to bead styles. Try them in our basic best-selling colors. 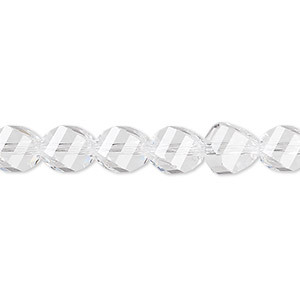 Bead, Swarovski® crystals, crystal AB, 6mm faceted helix (5020). Sold per pkg of 144 (1 gross). Bead, Swarovski® crystals, crystal AB, 6mm faceted helix (5020). Sold per pkg of 360. 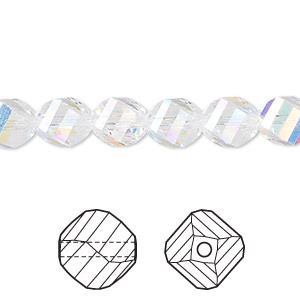 Bead, Swarovski® crystals, crystal AB, 4mm faceted helix (5020). Sold per pkg of 12.